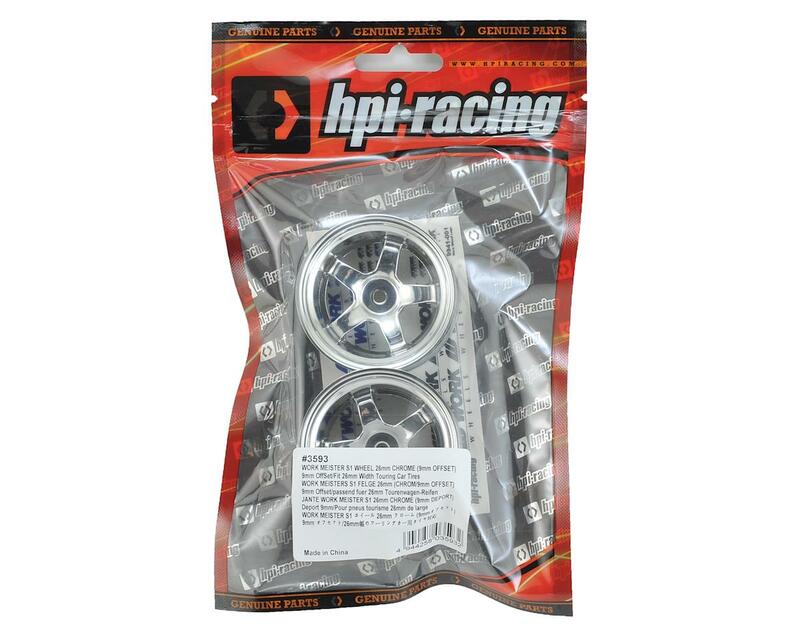 HPI's S1 wheel design is an officially licensed replica of the Work Meister S1 design, one of the lightest and strongest wheels available. 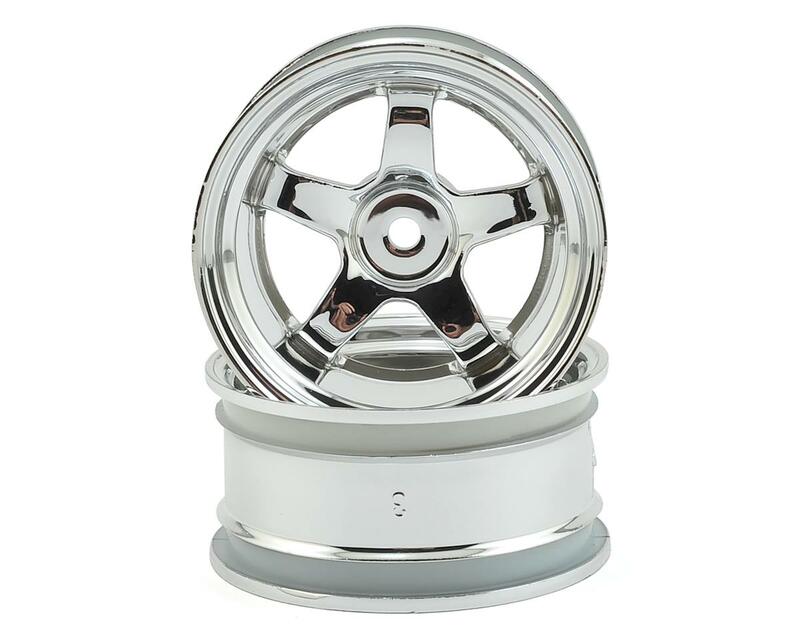 Work wheels are extensively used by various motorsports teams in GT300, GT500, Formula 3, and the N1 endurance racing series. They are used on everything ranging from million dollar McLaren F1 race cars to Spoon Sports Honda Civics. Constant testing and motorsports feedback allows Work to develop super strong race proven wheels that are at home on the street or at the race track. 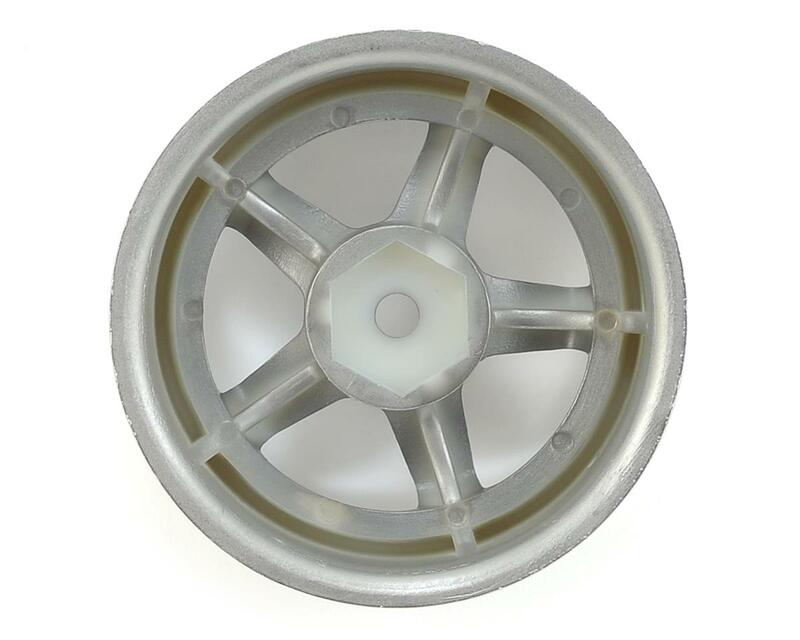 Moulded from durable high-impact nylon and chrome plated, these lightweight wheels are tough enough for racing and stylish enough to win a concours trophy.